BBC has released the brand new trailer for the third season of Sherlock. Don’t worry, we are going to go into copious amounts of detail in our analysis of what can be expected from the series looking at the latest trailer – in a nutshell it looks like there is going to be a terror alert in London which Sherlock (Benedict Cumberbatch) investigates, John Watson (Martin Freeman) can really rock a moustache, and the classic Sherlockian deerstalker has found its home in the modernised canon. 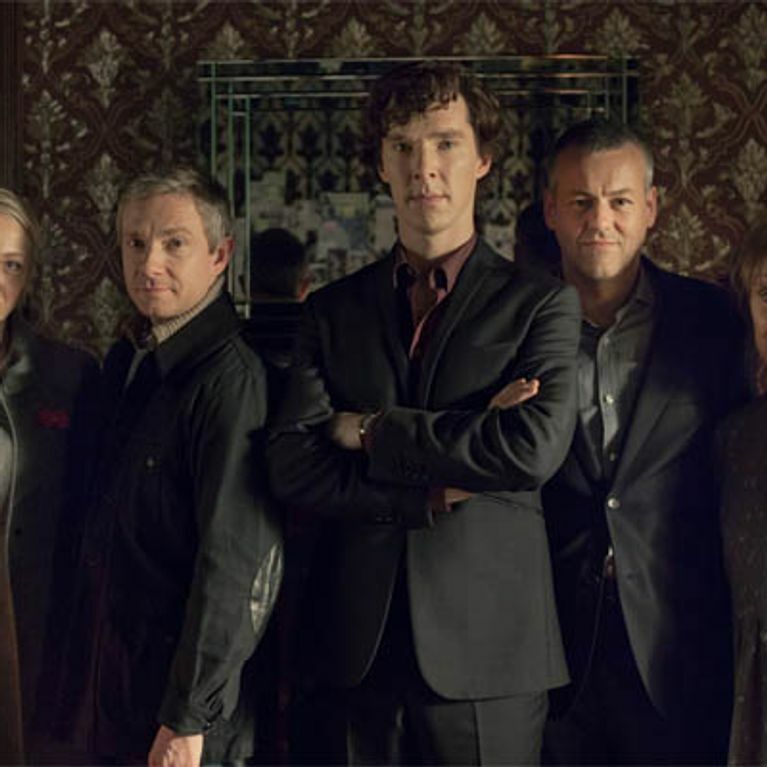 The first trailer for Sherlock season three is finally here. About time too – it’s been two years! Ever since Sherlock jumped off the hospital roof at the end of series two and was witnessed by John as...well...very very dead on the pavement, fans of the detective programme have tried to work out how he did it. HOW. It looks like we will get answers, though it isn’t what his best friend, who has been in mourning for two years, John Watson would like to know. Molly, right? Definitely Molly. We’re 95% sure it’s Molly. Oh BBC, why do you enjoy teasing us so much?! However, we’re glad to have some confirmation that writer Stephen Moffat isn’t going to give us a shabby excuse for how Sherlock managed to survive, not that he’s ever done that before – cough, Doctor Who, cough – and Benedict Cumberbatch has confirmed that the explanation is “satisfying”. Uh oh, this would signal the arrival of Mary Morsten, played by Martin Freeman’s real life partner Amanda Abbington. Fans have apparently been trolling Amanda on Twitter following the announcement of her role as Martin Freeman’s love interest, and The Hobbit actor recently jumped to defend his wife against the haters, telling Time Out: “To me, they’re not fans of the show – they’re fans of a show going on in their heads. The episode premieres on New Year's Day, with a special mini episode being shown on Christmas Day. We cannot wait!